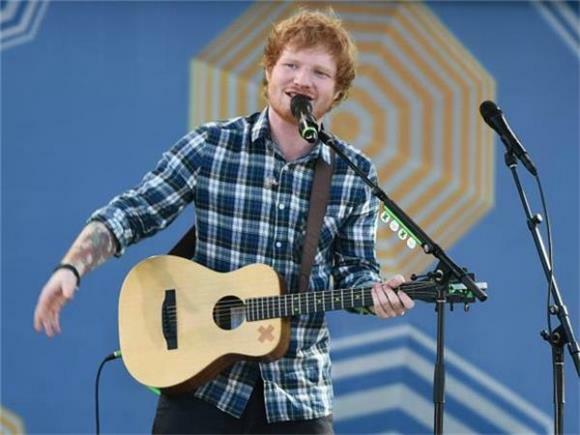 As most of you probably know already, singer-songwriter and multi-million dollar coffee shop bro Ed Sheeran put out a new record a few weeks back. Divide could've been two and a half hours of the sound of a wood chipper and it probably would've still hit platinum, so it's no surprise that the thing isn't even half a month old and it's breaking records. His fans seem to be more than pleased, the tracks are perfect for radio considering Sheeran is writing the majority of the Top 40's hits, and it's already setting up to be the biggest selling album of the year. Say what you will about Sheeran's music, but you gotta admit the stuff he's accomplished is pretty damn impressive. One can't help but wonder how the guy has managed to do so much, and yeah there was plenty of luck and hard work involved, but a big part of it is Sheeran's ability to write songs everyone loves. At the very least, you can probably find something you like about Sheeran, whether it be his albums, looping instrumentation, or live shows. You might even say that, despite the album's title, Sheerans new music isn't dividing us, but rather uniting us (I'm sorry, I had to). In this day and age, that ability alone makes Sheeran a hero in my book. Think about it: We clearly live in troubled and tense times, ladies and gentlemen. It is a time of "us vs. them" mentality, and it's hard to find common ground between peers, family and even once-close friends. There's fear and confusion on all sides of the political spectrum, and that fear easily manifests into a general anxiety about the near to distant future. But if there's absolutely nothing else, at least we can all pretty much agree Ed Sheeran writes some damn catchy songs. He raps, sings loves songs, belts out diss tracks, and even takes a guitar solo once in a while. He sings about death and moving on as well as the gushy stuff like love and relationships. He's somehow found a way to throw in hip-hop and Celtic folk in the same record and not make it sound forced. In other words, Sheeran is accomplishing exactly what good pop music has always been supposed to do: Offer an escape, for anyone and everyone, from the immediate word for three, four minutes tops, and show people that maybe there is some common ground between all of us. Is this a somewhat overtly sentimental way of looking at pop music? Extremely, but you know what? So are Sheeran's songs, and God forbid we have a pleasant time listening to some cheesy, harmless music for a few minutes. Ed never made himself out to be the edgy protest singer pushing the social envelope; he's always known exactly what he's good at, and that's bringing people together through music we can all at least like in some capacity. So hat's off to you, Sheeran. You just might be the pop song-churning, red-headed hero we all need to hear right now.